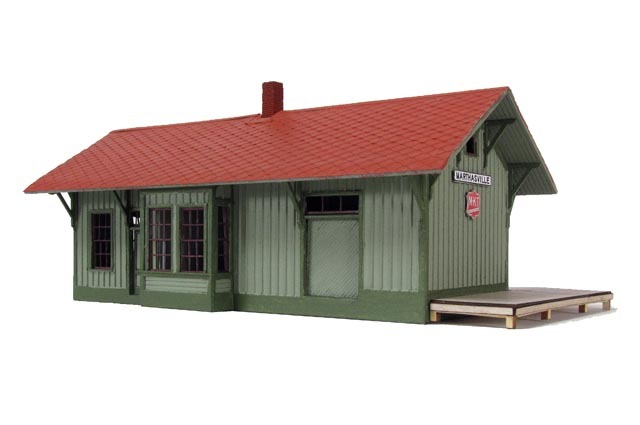 This model represents a board and batten depot built by the MK&T across their system. Station sign boards and two sizes of Katy shields are included. Note that decals for station names and the Katy emblem are not included.